CAR GLASS COATING is the first ever wipe-on clear coating and sealant designed to wipe away years from outside to inside parts of car and more in just a few minutes! Unlike traditional coatings, CAR GLASS COATING does not lay on top of the surface. Instead, it becomes one with it restoring original color while adding new properties that protect the surface from UV and liquids to keep it looking new for years! 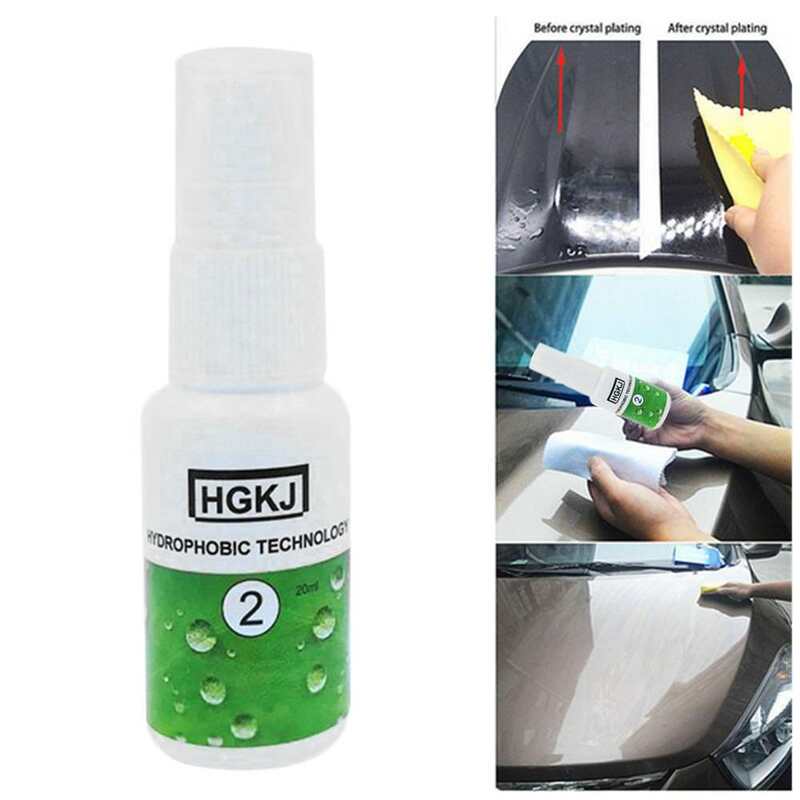 This nano protective layer give your glass, window or windshield extremely water repellent properties (super hydrophobic). Does not change color of auto glass and is completely transparent and invisible protection. With this glass treatment, wipers are almost unnecessary because rain just roll of windshield form this invisible sealant, it increases safety on the road. Also glass guard pro coating secure your car glass from scratches, UV rays, road chemicals. Cleaning become easier from bugs in summer, ice or other dirt in winter. It would be better to reach 60 yards per hour.The higher the speed, the better effects will be. Durability: Last about 3-6 months. 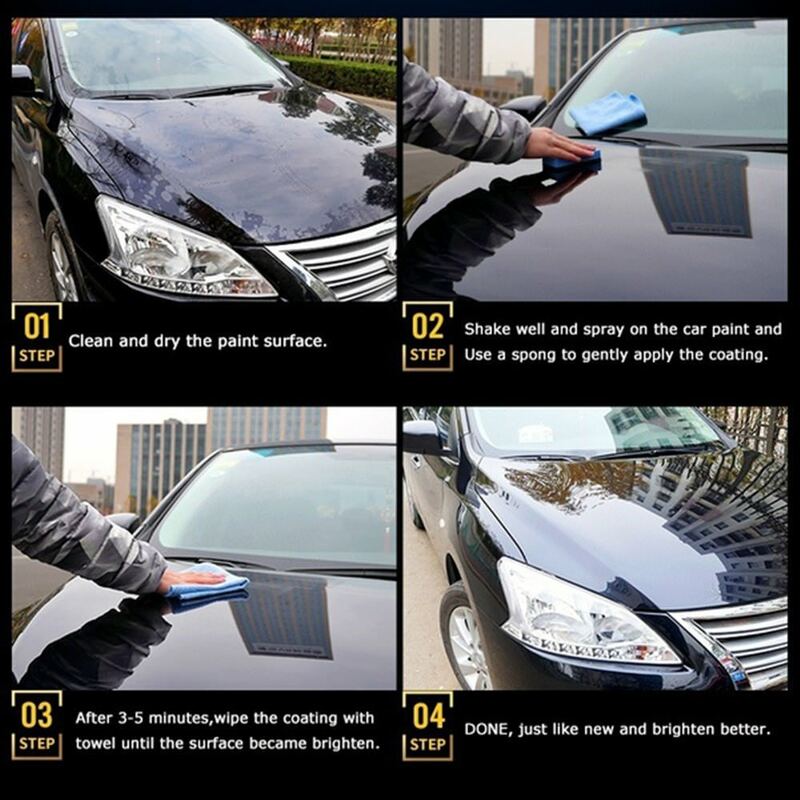 PACKAGE INCLUDED: 1 X CAR GLASS COATING.